Updates to Ann E's profile since your last visit are highlighted in yellow. Pete Horiszny (Whitney)--"Pete and our family adopted each More…other by choice"
Otterbein University--retired May 23, 2014! After graduating from Normandy, I earned a BSN and MSN at the University of Iowa where I met the love of my life, husband Doug. He was in medical school and we married in 1969. I earned my PhD from Ohio State University and we have been residents in Columbus since 1975 where Doug recently retired after 40 years as a pediatric cardiologist at Nationwide Children's Hospital. (Its hard to be a Hawkeye in Buckeye Country). I have had multiple roles in nursing: clinical medical surge-CCU, private practice as advanced practice nurse, Chief of Nursing Services, and Director of Operations as well as stints in private consulting for hospitals, Executive Director of the Institute of Health and Human Services at Ohio University, principal in ATeske & Associates, and now in my "retirement" I was teaching graduate nursing students at Otterbein University for six years (flunked my first retirement) I retired on May 23, 2014--for real! Doug in January, 2015. Doug and I have been blessed with a great family and we get together as often as possible being in Missouri, Ohio, and Florida. After over 30 years of mountain hiking, Doug and I sustained knee injuries (me) and his left shoulder (Doug) we have decided to become tourists and actually visit cities in countries that we have hiked. Our bucket list keeps growing---hopefully we will live a long life and get to check many of them off. meter and rowed since in regattas. I am the 4th rower in the family: son-in-law Hank rowed for Purdue University and later a team in St. Louis, our son Brian rowed for Drexel University, and our daughter Amy rowed intermural for Princeton University. However, 33 years of mountain hiking and osteoarthritis (Thanks Mom) have taken a toll and in May, 2017 I had a total right knee implant. No more rowing but I will be back to moderate hiking...and without pain! Great medical technology. July 11, 2018 will have my left knee replaced. Doug and I are both retired now and enjoying a busy life without the stress. We continue to travel often. I volunteer at one elementary school tutoring third grade students who are at risk of not passing the core curriculum tests focusing on reading comprehension and test taking. I am also Vice President of Trefoil 1 Girl Scout Alumni Association. Doug works 1 1/2 days for Habitat for Humanity completing his 28th house. Retirement and being grandparents are the best roles ever! My best friend since age 4--and continues to be is Susie Christian Arns. She was the bubbly blonde that boys looked at and melted. I was the more plain brunette. Susie had so many interested boys that she would call me up to ask what she should suggest that they do. Does seem somewhat backwards! Some of my fondest memories are going to football games, taking up the flute just to be in the Marching Band (remember those trips to MU football games at the end of every season with Mr. Duncan? ), swim team, and just having so many great classmates. I am delighted that we have such an active alumni association providing gatherings and scholarships. Thank goodness for Linda and Rick Ramin!!! who keep us informed and organized. Ann E Engelhardt Teske has left an In Memory comment for Susan R Adams McClaskey. Ann E Engelhardt Teske updated profile. View. Anthony A (Tony) Kelley posted a message on Ann E Engelhardt's Profile. Happy birthday!!! Still beautiful with a great family! Ann E Engelhardt Teske has a birthday today. Ann E Engelhardt Teske added a comment on Profile. New comment added. Ann E Engelhardt Teske posted a message. Happy Birthday!! Today is Rick Ramin's birthday. If you have been following the Class Memories there have been a number of comments about turning 70. We had dinner with Rick and Linda Thursday. He is doing well and is in much better spirits. He has been comfortable with Doug in a slinking medical questions. I noted to Linda that I was surprised that you had not posted any HS or life memories and she said that you and Eileen had been on extended travels. Hope you both had a great time! May the coming year be filled with joy. Ann Teske ?? Ann E Engelhardt Teske changed profile picture. Ann E Engelhardt Teske added a photo to profile gallery. New comment added. Hi Glenn. Happy Birthday!!! May you have many more in good health and happiness. Anthony A (Tony) Kelley posted a message on Ann E Engelhardt's Profile. New comment added. Happy Birthday Ann!! You are still as beautiful as you were in high school. 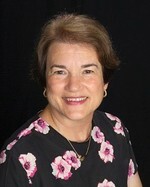 Ann E Engelhardt Teske added a comment on Profile. Hey Happy Birthday Susie!!! I didn't forget or even need a reminder---mail coming your way. Hope you have a splendid day and enjoy the coming holidays with your family and friends. I hope to see you and Rich in January when we come for Amy's birthday---Doug will be retired so our stays are much more flexible. You go girl!!! Ann E Engelhardt Teske changed "Now" picture.